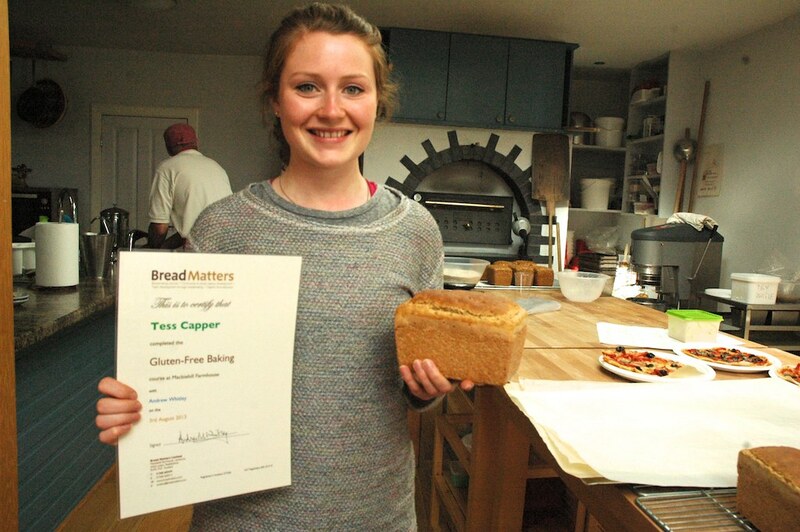 Anybody looking for a baking course must head to Bread Matters, it’s just fantastic! Only 17 miles from Edinburgh you can find Macbiehill Farmhouse, kitted out with a baking studio and wonderful wood-fired oven and two of the most lovely people! Andrew Whitley, the man behind the venture, has his own book, Bread Matters, which explores the increasing intolerance to modern bread and how to combat it with sourdough – a worthwhile read. While Andrew is teaching in the studio, his wife Veronica is baking the most delicious cakes and cooking up a storm for lunchtime. 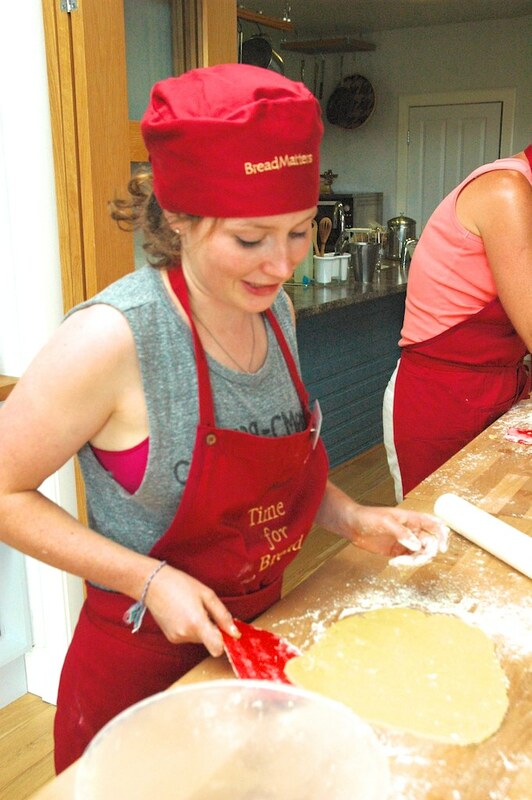 They host a number of bread-making courses, from ‘baking for a living’ to mastering the basic techniques and even a gluten-free baking, which I went on. We made gluten-free pizzas, wraps, a delicious date and rum tart, sourdough, a seeded rye and a gluten-free yeasted bread – all in a days work! Over lunch Andrew told us about his career in bread baking and we talked about coeliac disease and gluten and wheat intolerance. His views on the modern additives causing intolerance to bread is very refreshing and makes you realise how few ingredients ‘real bread’ needs. My dad went on the 2-day intermediate baking course last weekend and would highly recommend that too. 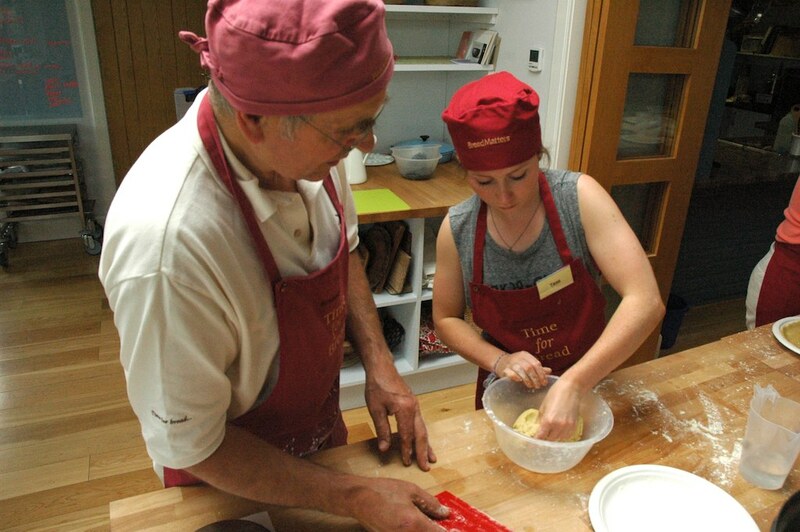 On a weekend course your evening meal on the first evening is thrown in and they will pick you up from Edinburgh train station or from their recommended accommodation spots and deliver you to the door of the farmhouse. After a busy day, you are sent home with all your goodies, a signed copy of Andrew’s book, two handy bread scrapers and a certificate of your achievement! 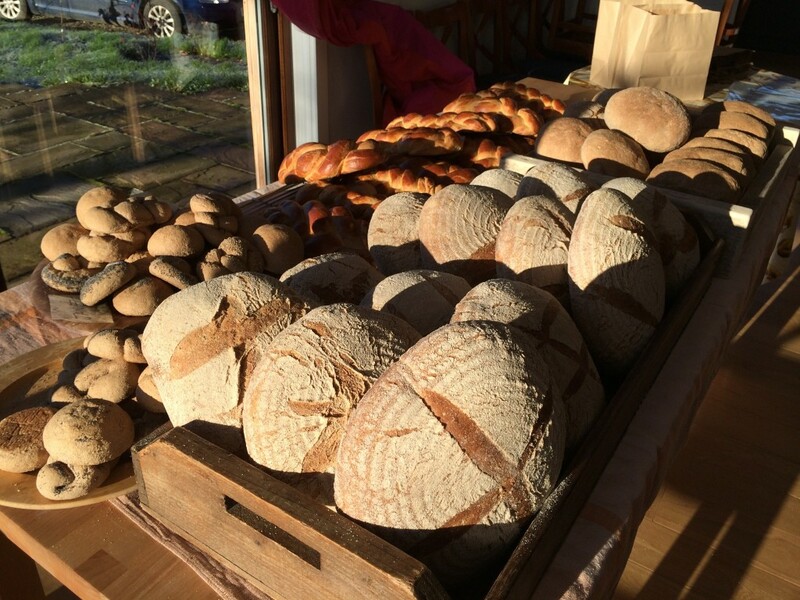 Definitely worth a look for anyone wanting to learn the basics of bread making or to develop their skills, it’s only yeast, flour and water after all! Posted in Good foods, Lifestyle and tagged baking, bread, Edinburgh, gluten, sourdough.